Situational awareness: Brett Kavanaugh is gliding smoothly toward a seat on the Supreme Court, Axios' Sam Baker reports. Democrats have landed few, if any, punches during today's hearing and all signs continue to point to a quick, relatively painless confirmation largely along party lines. History in front of your eyes ... Pushing Bob Woodward's "Fear" momentarily out of the cyle ... The New York Times published an unprecedented anonymous op-ed today by a senior Trump administration official who claims membership in an effort to actively undermine the president. 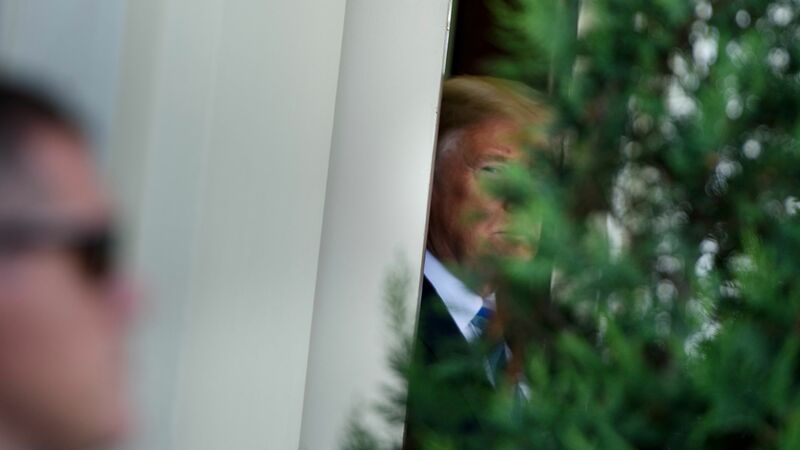 Why it matters: It's not normal for the Times to publish an anonymous staffer bagging on the president — and the fact that the Times permitted anonymity suggests they're taking this person's words seriously. "We want the administration to succeed and think that many of its policies have already made America safer and more prosperous." "But we believe our first duty is to this country, and the president continues to act in a manner that is detrimental to the health of our republic." "That is why many Trump appointees have vowed to do what we can to preserve our democratic institutions while thwarting Mr. Trump’s more misguided impulses until he is out of office." The big picture: "[S]uccesses have come despite — not because of — the president’s leadership style, which is impetuous, adversarial, petty and ineffective." "Astute observers have noted... that the rest of the administration is operating on another track, one where countries like Russia are called out for meddling and punished accordingly, and where allies around the world are engaged as peers rather than ridiculed as rivals." The bottom line: "Given the instability many witnessed, there were early whispers within the cabinet of invoking the 25th Amendment... But no one wanted to precipitate a constitutional crisis." "[W]e will do what we can to steer the administration in the right direction until — one way or another — it’s over." "The bigger concern is not what Mr. Trump has done to the presidency but rather what we as a nation have allowed him to do to us. " Be smart: Trump already feeds on "Deep State" conspiracy theories. This is unprecedented ammunition for Trump's fiercest defenders to send him over the top. An empty seat for Google at today's Senate Intelligence Committee hearing about foreign interference on social media platforms. On the House side, Twitter CEO Jack Dorsey faced skeptical questions at a hearing today convened because of Republican allegations of an anti-conservative bias on the platform. Aside from a loud protester, there weren't many fireworks. Go deeper. The White House was caught flat-footed by the explosive content in Bob Woodward's new book, as nobody on senior staff had seen a copy when the Washington Post published the excerpts yesterday. Go deeper. Meanwhile, Trump told reporters today that the book is "a work of fiction," attacking the longtime White House reporter's credibility. Go deeper. Hurricane Florence has defied forecasters by intensifying into a major hurricane in the Atlantic Ocean. Projections show it poses a potential threat to the East Coast early next week. Go deeper. The trade deficit jumped 9% in July, fueled by imports of goods like computer accessories and auto parts. America remains a leader in one sector of tech manufacturing: computer chips. Map. Kim Kardashian West was at the White House today to discuss prison reform. She was instrumental in securing the commutation of Alice Johnson's sentence earlier this year. Go deeper on today's meeting. "The league is finally dropping a requirement that viewers sign in with a cable or satellite subscription. It's seeking to expand its online audience at a time when TV ratings are declining." "There are some restrictions. Streamed games are typically only accessible via phones and tablets. To watch on a big TV, you'll still need a cable or satellite subscription, or one through a cable-like online package such as PlayStation Vue." P.S. Nike has released its first ad with Colin Kaepernick as the pitchman for the "Just Do It" 30th anniversary campaign. Watch it.